There's nothing that squashes vacation bliss quite like coming home to a crazy inbox. One minute, you're reminiscing about the stunning sunset you caught on your last night. The next, you're scrolling through an overwhelming number of unread emails, desperately trying to discern which ones you actually need to read and wondering why on earth you thought it was okay to take vacation in the first place. But taking quality time away from the office -- and away from work email -- is actually good for you. It's good for your physical health, your mental health, and your productivity and creativity when you actually get back to work. In fact, a study from the University of California, Irvine found that the very act of checking email increases our heart rate and stress level -- and that spending just five days email-free makes us objectively calmer. The key to recovering a healthy inbox quickly comes down to planning your time and organizing smartly. Read on for nine tips for cleaning up your inbox after vacation. 1) Set up a filtering system before you even leave. 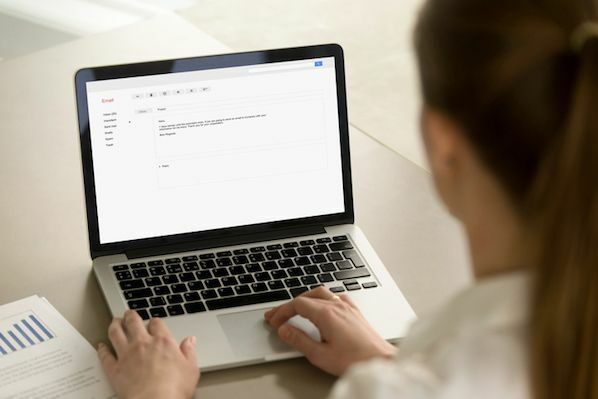 While most of the tips on this list are about how to deal with your email after vacation, there are things you can do to set yourself up for success before you leave that can make a big difference. My favorite? 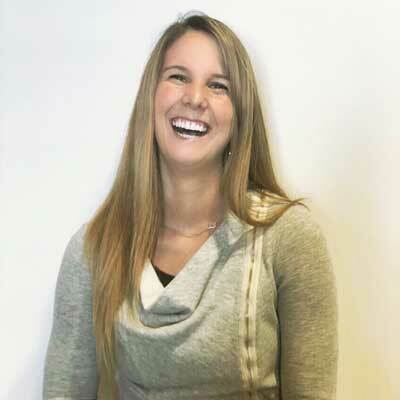 HubSpot's Director of Marketing Rebecca Corliss' awesome email filtering system on Gmail that she sets up before every vacation, which you can read about in detail here. Here's the short version: Before she leaves for vacation, Corliss creates a whole bunch of filters that sort her incoming emails into specific folders as they come in. For example, one filter puts all of the emails sent by her immediate team members into a single folder so she can find and read those first. She also has filters that delete automated emails she doesn't need to read, like daily traffic and leads dashboards. The result? She's effectively ensured that when she gets back from vacation, her immediate inbox will be at or near zero. 2) Set expectations with an out-of-office auto-reply message. If you don't already set up out-of-office auto-replies when you go on vacation, you should start now. Whenever someone sends you an email when you're out of town, they'll receive an automated email you've written that lets them know you're out of the office and won't be checking email until a certain date. Sorry I missed your email. I'm currently [traveling/celebrating my friend's wedding/hiking in the Alps] and won't be checking email until [date]. If it's urgent, please reach out to [name] at [email]. Until then, why not check out [link to piece of interesting company content]? If you want to make sure your message gets a response ASAP when I return, please send it again on [date]. 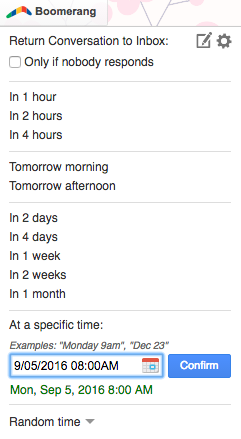 I recommend using this free email scheduling tool to schedule it now, while you're thinking about it. Not only does this help set expectations, but it'll mean the most important emails will be at the top of your inbox when you get back. If you're looking for different wording, here are a few other auto-reply templates to try. Pro Tip: Leave your auto-reply message on for an extra day while you're catching up on email. It'll help prevent an influx of requests the day you get back, while also keeping people's expectations of a response to a minimum while you're working through everything. 3) Block 2–3 hours for going through your inbox on your first morning back. I usually name that block of time something like "Hold for catch-up" so people know not to book me. 4) Use the Pomodoro technique to get through emails faster. 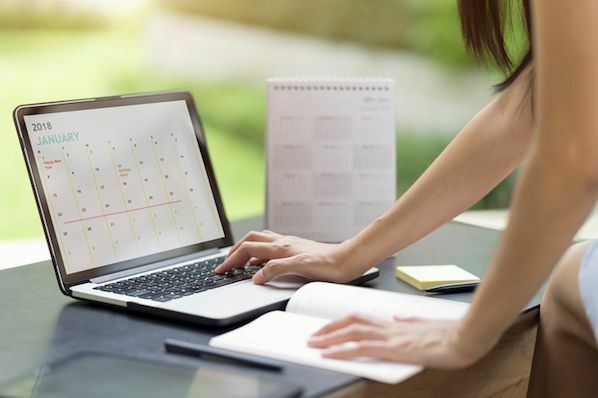 When it finally comes time to clean your inbox post-vacation, the best way to stay productive is to hone in on those emails -- and only those emails. But you have to be realistic about how long you can concentrate at any given time before you start getting distracted. That's where a time management technique like the Pomodoro technique can come in handy. The Pomodoro technique is one of my favorite time management techniques. It's based on periods of distraction-free work followed by short breaks. To easily monitor time, I recommend using desktop timers like Pomodoro One for Mac or Tomighty for Windows. To use the technique, it's as easy as pressing "start" and "stop." Pro Tip: To get the most out of your distraction-free work, turn your cell phone on silent and remove email and social media notifications and other distractions from your computer and work atmosphere. 5) Organize your emails into folders. Creating folders (or labels, if you use Gmail) within your inbox can help you categorize the various types of emails you receive on a daily basis so that you can more easily sort and see who is emailing you and what it is about. Having a place to put archived emails will make you much more likely to actually archive them, and having a system in place will help you get through an overwhelming inbox a lot quicker. If you use Gmail, I highly recommend Andrea's Klinger's "inbox zero" methodology, which I live by when it comes to maintaining a healthy inbox. The methodology uses two built-in features in Gmail: "special stars" (a slightly fancier labeling system than Gmail labels) and multiple inboxes. Don't be intimidated by the unfamiliar set-up -- it's actually quite easy to do. 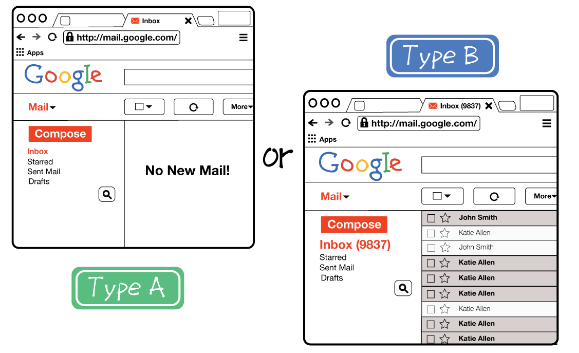 Since publishing this step-by-step guide to his methodology last year, many people have told me it's changed the way they use email -- and has made their lives a lot easier. If you don't use Gmail or you'd rather stick to a more classic labeling system, take the time to actually think about the emails you receive and how you might sort and categorize them efficiently. Focus on creating folders based around the various roles you take on at your job, the automated emails you receive, and the people you work with. For example, you might have a folder dedicated to all the email exchanges you have with your direct reports. 6) Delete and archive ruthlessly. Some people hoard household items -- clothing you haven't worn in years, for instance. You know you probably aren't going to wear it, but you keep it anyway on the off-chance someone throws an '80s-themed party. But when you get back from vacation, you're probably facing hundreds, maybe thousands of new emails in your inbox. The hardest part is figuring out which ones of those are actually important, and which ones you really don't need to respond to -- and can either archive or delete. Ruthlessly. Trust me, once you get started, it'll actually feel good. 7) Don't try to respond to everything. As tempting as it might be to be the most selfless, helpful, and perfect version of yourself 100% of the time, it's important for your inbox (not to mention your sanity) to think of email messages not as precious, but as perishable, as Merlin Mann once put it. As "[p]erishable, time-stamped milk that becomes a little less fresh every day until it smells kind of funny and just needs to be dumped." There's simply no way you'll be able to respond to every single email that arrives in your inbox -- let alone even read them all. This is especially true when you come back from a vacation and are dealing with hundreds of unread emails. So archive emails. Delete them. Whatever you do, don't respond to every single one. 8) Reply faster using canned emails and templates. For some of the emails that do require a response, you might be able to make the process of responding more efficient. For example, do you ever find yourself typing out very similar email responses to different people over and over again? This happens to me a lot -- like when people ask me how to submit a guest post to the Marketing Blog. I used to manually type out my responses to these emails, which required finding and copying the link to our guest blogging guidelines page, crafting a few sentences, and so on. Then, I discovered "canned responses," a features in Gmail, Outlook, and several other email clients, which has probably saved me hours of time copying-and-pasting over the course of a few years. Here's how to set that up in Gmail and Outlook. Click the gear icon in the upper right-hand corner and choose "Settings." Click the "Labs" tab, find Canned Responses at the top, and click "Enable." Scroll down and click "Save Changes." On the Outlook menu, click "Preferences." Under "E-mail," click "Signatures." Click the plus icon to add a new signature. A new signature will appear under "Signature name" with the label "Untitled." Double-click "Untitled," and then type in a new name for your canned response. In the right pane, type the text that you want to include in the signature -- in other words, type in your canned response. 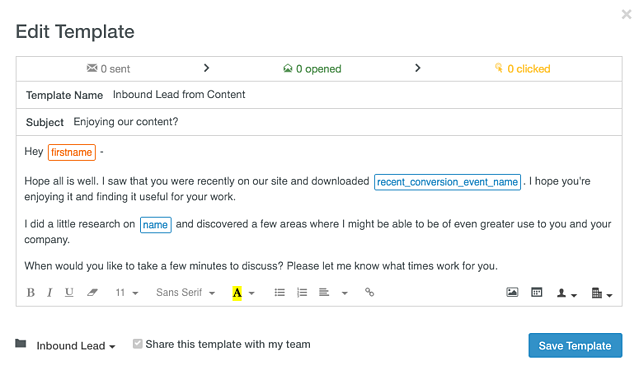 Or, if you use HubSpot CRM, you can use the built-in email templates to easily send personalized emails right from your email tool. 9) Use Boomerang to resurface emails when you need them. As for those emails that will need a response eventually, but just not right now ... When you're dealing with a full inbox, it can be easy to forget about them entirely. (Or, worse, accidentally get rid of them.) That's where a free tool like Boomerang for Gmail can be really, really helpful. Boomerang lets you archive an email, but choose the exact date and time you want it to re-emerge in your inbox -- as an unread message. In other words, it removes messages from your inbox until you actually need them. All you have to do is click the "Boomerang" button when you have an email open and choose when you need it again. It'll archive your email until the time you choose. Remember: A full inbox is inevitable after you take some time off. You don't have to let it overwhelm you; you just have plan for it. Set up that out-of-office auto-reply message, create filters to organize your incoming messages more clearly, and block off time on your first day back to clean your inbox. When it comes time to dig in to all those unread emails, trust your instincts and be ruthless about archiving and deleting. Until then, relax and enjoy that well-deserved vacation. How do you recover from your post-vacation inbox? Share your tips with us in the comments.